Looking to find out about what's happening in our classrooms? Visit our Curriculum Information here! Data, Reports, Policies and Weblinks to help you understand how our school performs! To open minds for the future by developing independence, confidence, initiative, creativity and perseverance through a challenging, innovative and fun curriculum. To work together to create a caring, co-operative and welcoming community where everyone is valued, challenged and supported in learning and all decision making has the interest of pupils at its centre. To create a partnership between home, the wider community and school which seeks to support children’s development and learning. To encourage children to understand the needs for high standards in all aspects of school life – work, play, relationships and behaviour and to take pride in all they do. To develop within every child respect and a sense of responsibility for themselves, each other, property, the wider community and the environment. To promote inclusive practice in all aspects of school life instilling an awareness of the needs of others and cultural and religious diversity in all. To promote a healthy lifestyle and encourage every child to gain a good self image through developing them intellectually, physically and socially. To provide high quality education where opportunities are created for children to develop the skills required for their future. 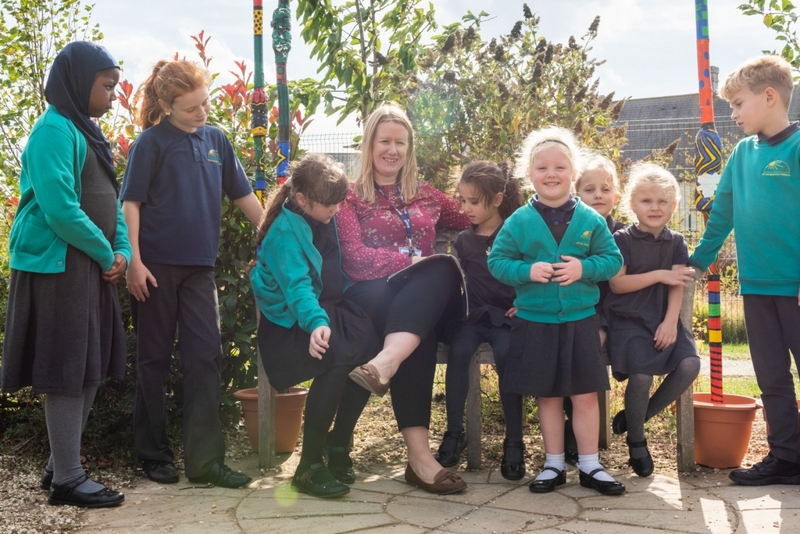 Upton Meadows Primary School is a happy and successful school on the outskirts of Northampton. We are part of the Northampton Primary Academy Trust. I am very proud to be Headteacher of such a friendly and vibrant school community. At Upton Meadows we are passionate about learning and believe we are creating the superstars of the future. We hope to inspire our children to strive for the very best for themselves, their friends and the whole school community: we want them to know that they are unique, respected and well cared for. I became a teacher as I passionately believe that we can make a real difference to lives and I cannot think of a more rewarding profession to work in. Every day I experience the joy that comes with working with children – it is a real privilege to create an environment that allows young minds to dream, create, believe, excel and feel a true sense of worth and belonging. We believe that all children should receive great teaching and be able to leave our school with the academic foundations for success in the future. As a school we recognise the importance of developing the whole child by encouraging and celebrating all their different gifts and talents, be they sporting, academic, musical, theatrical or anything else! Staff work hard at school and are committed to ensuring that children are challenged and supported to achieve highly. We will ensure that your child becomes a confident, well-rounded individual who is a successful learner in all ways and who wants to learn because they have high aspirations for themselves. I hope that you enjoy your visit to our website and can find all the information you need. We are always happy to welcome visitors to our school so please don’t hesitate to get in touch if you are interested in finding out more. In April 2018 we converted to become an academy and joined the Northampton Primary Academy Trust (NPAT). Being part of a wider academy trust has strengthened our position at a time of some uncertainty with the Local Authority, but will also provide us with exciting opportunities for future development for our children and staff. NPAT has strong links with partner agencies such as The Royal Shakespeare Company, Microsoft and Create Development which allows NPAT schools to demonstrate exemplary practise in sport, dance, drama, the arts and technology. The aim of the Trust is to ensure that children can achieve the highest standards at the same time as enjoying a rich, challenging and relevant curriculum, which focuses on their personal development and prepares them for their place in the wider world. Already this year, our children have benefitted from NPAT Trust-wide opportunities, for example Year 4 attended a Shakespeare First Encounters performance of ‘Comedy of Errors’ and children from Reception to Year 6 will take part in a Trust-wide Shakespeare project based on Romeo and Juliet in Spring term. Our staff also benefit from regular training and network opportunities with colleagues and experts from within and outside the Trust, which can only mean good things for our children.